I have a love/hate relationship with QR codes. On one hand, I love them because I think they’re a great enabling technology – a technology that bridges the offline world with the online, which is essential in driving any level of engagement when connecting with consumers outside of their homes. They’re efficient, convenient, and potentially rewarding. That is, they’re easy to use and they can unlock rich content. This is the hate side of the equation. Bad QR code executions are commonplace out there in the real world. Brands don’t know where to put them – should they go on TV or other digital screens or just be confined to print materials? Brands don’t know what content to put behind them – should they just unlock a website or an entry form or some sort of rich, multimedia content? But most of all, brands don’t seem to understand consumers’ awareness and comfort level with them – should they include instructions or an alternate way to access the information or just leave it to consumers to figure out how to use them? These are all general statements, I know. Yes, I have seen my fair share of quality code-based initiatives over the past 1.5 years, but they pale in comparison to the poor executions. I believe now we’re seeing something that normally happens with any sort of technology that doesn’t wash out to the ocean of nothingness – on the consumer side, there is an awareness with what the technology is, and on the brand side, there is a drive to understand how best to use the technology to impact behavior. This adoption/impact wave is a long one. Right now, we’re just seeing brands actually understand how to best use social media to build relationships and impact consumer behavior. And social media (er, web 2.0) was introduced 5-6 years ago. That’s not to say QR codes will take 5-6 years to figure out, but adoption of technologies and new ways to utilize them do not happen overnight. They also require a fair amount of deliberate thought. They’ll hardly work if they’re just thrown out into the world for everyone to figure out. This is what I’ve seen more often than not with QR codes. So, it was refreshing to actually see a brand utilize traditional media channels in their marketing mix to raise awareness of their QR code campaign. A couple of weeks ago, I saw this Macy’s commercial on TV. I did a double take. I had to rewind it to make sure I was seeing this right. A brand devoting a national TV spot to their QR code campaign? Brilliant. I think the true brilliance is in the spot itself. It doesn’t just highlight the technology, it explains it. It explains what it is, where to look for it, how to use it, and most of all, what consumers can expect to get out of it. It also doesn’t limit this content to QR-code-only access. Have mobile phone? Can text? Then, not to worry, you can still experience this same content. Now, when consumers go anywhere near Macy’s and see one of these pixilated stars, they at least have a better chance knowing what it is and what they can get out of it – two critical pieces needed to drive adoption and result in success. This, along print ads and even their staff wearing lanyards that explain what the program & code are, show how deliberate they want to be with this campaign. Who knows if it will work? 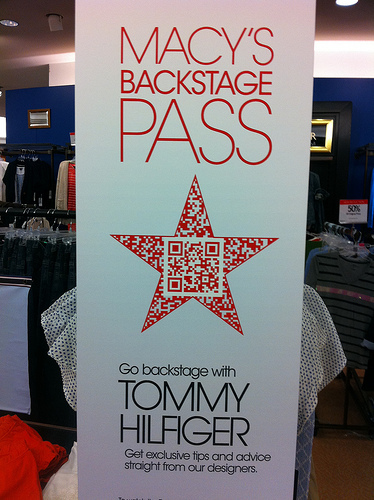 And more, who knows if QR codes, as a technology, will endure time and actually become adopted by the general consumer. In 5-6 years, we’ll know, right? But this much is certain, and has endured over time – whoever reaches consumers at the right time with the right content will win. The problem is – we’re living and consuming media in an evolving world, where consumers are on the go, out & about more than ever, technology is not the barrier it once was and everyone is connected. The rules have changed. Now, the right time to reach consumers is different for everyone. And it’s typically when they’re not in the confines of their homes. Traditional broadcast channels like television are still great awareness channels, regardless of what you say about DVR. Non-traditional, emerging channels like Out-of-Home (OOH) and mobile are more and more becoming great engagement channels. Everything needs to work together. 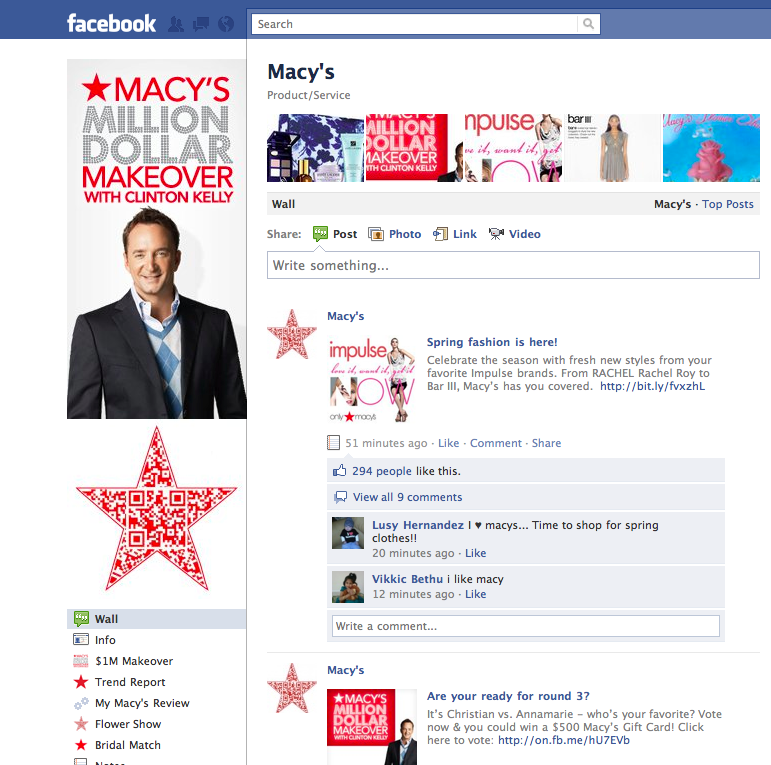 And Macy’s – much to their credit – has recognized this and is actually doing something about it. I know the jury is still out on QR codes so I’d be interested to know if you think even a full-out marketing blitz like this will move the needle, in terms of QR code adoption and engagement? What do you think? 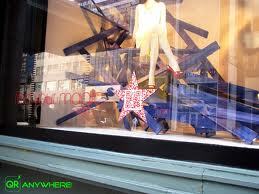 This entry was posted in Digital Signage, Emerging Technology, Marketing and tagged 11th Screen, Digital Signage, enabling technology, Macy's, offline to online, OOH, Out of Home, QR Codes on 03/22/2011 by Mike Cearley. This is a solid post Mike. Its also a solid campaign by Macy’s in my opinion. The star design is awesome, the educational is needed/tactful, and the prevalence is necessary. Unfortunately, I haven’t been able to follow the QR media trail yet bc I am out of the country and only have wired internet (no phone wifi), but would love to hear more thoughts on their content. I am curious, did they ask for your contact information anywhere along the trail? Did they make any offers for discounts/coupons, etc? Link back to capture fb likes or twitter followers? If not, do you think that they should have? Thanks for the quality content and keep up the great work! Great post, Mike! Would love to show you what Paperlinks.com is doing to solve the problem of QR-pointlessness. If interested in a web demo of our self-serve platform for creating interesting QR interactivity, please contact me through the contact form on our website. I truly think the tipping point for QR codes is fewer than 12 months away. Agree that it’s great to see Macy’s promote the campaign (as opposed to waiting for consumers to stumble upon it), but I think the experience falls far short of the potential. As the previous comment suggested, there is more to the value chain than exposing consumers to a video on “tips” (yawn). Thanks Kyle. Always good to hear from you. Thanks for your questions about their content. I did look at it and I think it’s actually really good. In fact, you are inspiring me to do a follow-up post on the content behind the campaign (so thanks!) Re: deeper engagement – yes, there are some hooks in the experience, primarily in the social channels. I’ll write all about it very soon. Great that Macy’s have taken this approach. The brand incorporation into the QR design itself is however at quite a basic level. 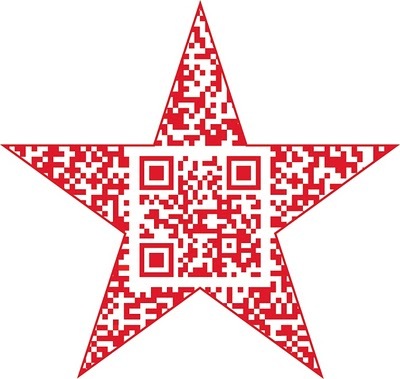 World leaders in branded QR code design – why settle for dull, pixellated poop?